Immigrants to America who have achieved permanent residence status can travel abroad but those leaving for lengthier periods, particularly over one year, may face difficulties reentering the United States at the end of their travels. Those permanent residents going overseas will need to present a passport from their country of citizenship or their refugee travel document. The foreign country to which the resident is travelling may have additional visa requirements. When returning to the country, they will need to present a valid, unexpired “green card” (Form I-551, Permanent Resident Card). When arriving at the port of entry, a U.S. Customs and Border Protection Officer will review their permanent resident card and any other identity documents they present, such as a passport, foreign national I.D. 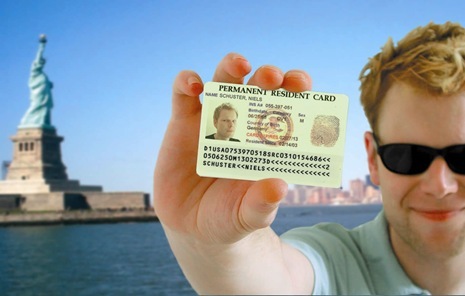 card or U.S. Driver’s License in order to determine if they can reenter. otherwise established your intention to return to the United States as their permanent home by maintaining bank accounts, keeping a valid driver’s license, continuing to operate or manage a business in the U.S. and/or owning property in the country. If they travel for more than a year, it is likely there will be a presumption that they were abandoning their permanent status although such is not conclusive and this presumption may, in fact, even be raised with regard to trips that do not last for a year. For those who plan on being absent from the United States for longer than a year, it is advisable to first apply for a reentry permit on Form I-131. By getting this reentry permit prior to leaving the United States, it will be unnecessary during the time period of the permit’s validity to obtain a returning resident visa from a U.S. Embassy or Consulate abroad. The Shulman Law Group, LLC has successfully prepared and filed many petitions on behalf of its clients who are family members, including spouses, of U.S. citizens to work and study in the United States and take a trip abroad. Members of the firm advise New Jersey residents with regard to developments in its law which have direct relevance to the state’s immigrant population. Its comprehensive experience in the field enables the firm’s attorneys and professional staff to understand what information and materials needs to be produced in order to ensure petitions receive appropriate consideration. The firm’s excellence is fortified by its rigorous determination to ensure that all procedural matters are properly addressed.